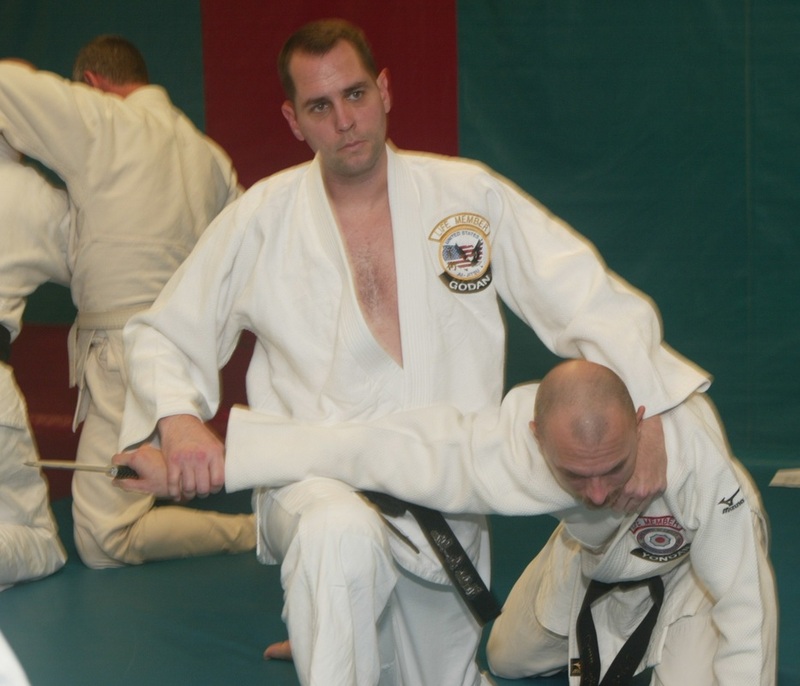 Mr. DelValle has over 25 years experience in the Martial Arts. Sensei Earl DelValle began his journey in the Martial Arts in 1987. 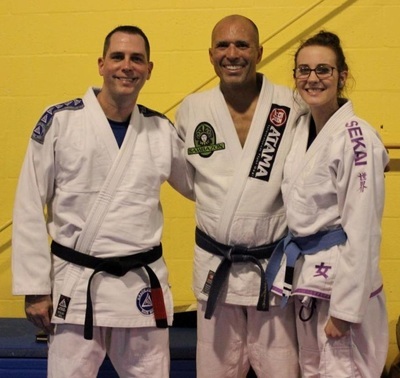 Sensei DelValle took up Judo at the Sarasota Judo Academy under Rene Duchesne, until November of 1990, when Sensei DelValle enlisted in the Navy. Sensei DelValle continued with Judo and Ju-Jitsu in San Diego California where Sensei DelValle was a member of the All Navy Judo team. In the beginning of 1991 Sensei DelValle was transferred to the Great Lakes Naval base, where he met Sensei Andrew Gruenwald who taught Judo and Nokido Ju-Jitsu at the Naval base. 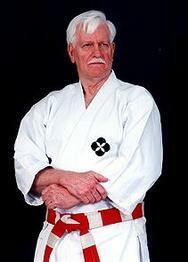 Sensei DelValle Continued to study under Sensei Gruenwald when transferred to Virginia Beach, Va. Sensei DelValle taught Judo and Ju-Jitsu at Kyoshinkan Shorin-Ryu Karate School and received his life membership from the USJA. Sensei DelValle continued to study Judo, Ju-Jitsu and Karate after getting out of the military in 1994 and moving back to his hometown of Sarasota, Fl. in 1995. Sensei DelValle opened his own Martial Art school in 1995, under the direction of all of his Martial Art instructors. In 1996 Sensei DelValle began his Law Enforcement career with the Manatee Co. Sheriffs Department. Sensei DelValle received his Instructor certificate for Judo and Ju-Jitsu in 1996. Sensei DelValle studied with Judo and Tomiki Ryu Aikido instructor Tim Dudley who was a student of Karl Geis. 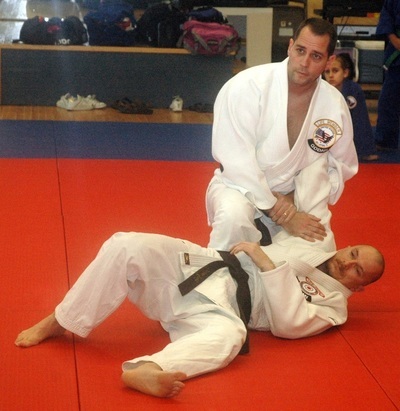 Sensei DelValle continued his studies of Judo, Karate, and Aikido and continued to teach Ju-Jitsu at his school until 1999, when Sensei DelValle transferred to the Sarasota Police Department to become a Patrol Officer. Sensei DelValle then combined his Martial Art classes with Sensei Dudley's classes. Sensei DelValle became a Defensive Tactics Instructor and a Ground Fighting Instructor for the Police Department as well as the Police Academy. 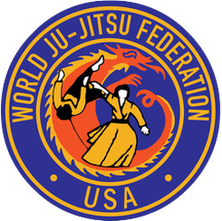 Sensei DelValle became a life member of the United States Ju-Jitsu Federation in 2001, and served as the Treasurer and Secretary for United States Ju-Jitsu of Florida. 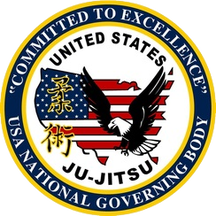 Sensei DelValle and Nokido Ju-Jitsu were officially certified by the USJJF. In 2002, Sensei DelValle taught Ju-Jitsu and Karate at Sarasota Alliance Church. Sensei DelValle continued to teach Judo and Aikido with Sensei Dudley. Sensei DelValle was promoted to Vice President of United States Ju-Jitsu of Florida and was assigned to the Neighborhood Enforcement Team, at the Sarasota Police Department. Sensei DelValle was also recognized in the U.S. Ju-Jitsu style and began to study Brazilian Jiu-Jitsu with Professor Charles Dos Anjos. In 2003, Sensei DelValle was promoted to Detective for the Sarasota Police Department. 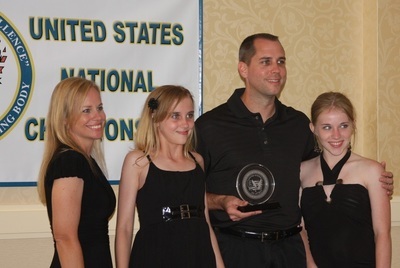 Sensei DelValle was awarded the United States Ju-Jitsu Federation's, Instructor of the Year. Sensei DelValle became a Bronze Life Member for the USJJF. Sensei DelValle also began to assist teaching Judo at the Y.M.C.A. in Sarasota after Sensei Dudley's school closed. 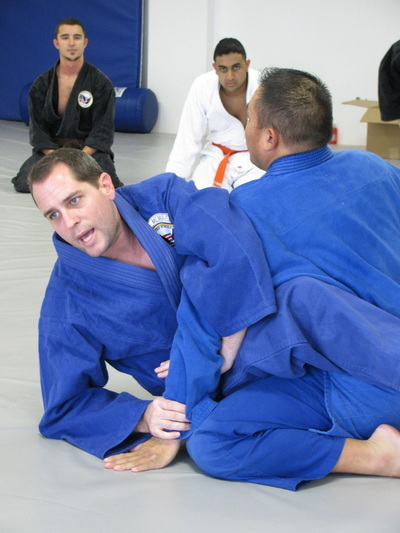 Sensei DelValle continued to teach Nokido Ju-jitsu, Karate, Judo, and Defensive Tactics to Police Officers as well as study Brazilian Jiu-Jitsu. 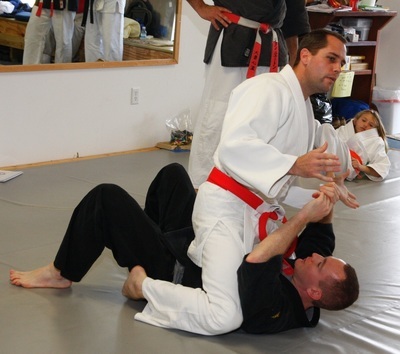 In 2004, Sensei DelValle continued to teach Ju-Jitsu, Judo and D.T. Sensei DelValle was promoted to Blue Belt in Brazilian Jiu-Jitsu. 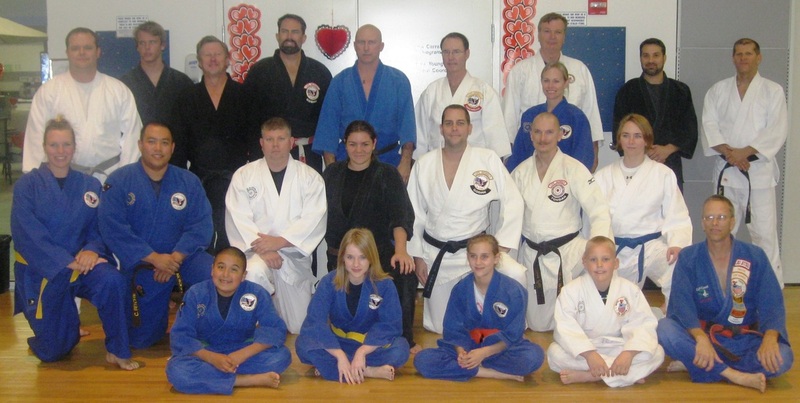 In 2005, Sensei DelValle relocated his Ju-Jitsu and Judo class to the YMCA in Sarasota, Fl. Sensei DelValle continued to teach Kyoshinkan Shorin Ryu Karate. Sensei DelValle was promoted to Godan in U.S. Ju-Jitsu and Nokido Ju-Jitsu and was promoted to Yondan in Kyoshinkan Shorin Ryu Karate and USA Traditional Kodokan Judo. Sensei DelValle also teaches USJA Ju-Jitsu to all of the USJA Judo members as well. In 2006, Sensei DelValle was certified by USA Judo the national governing body for Judo. Sensei DelValle began to cross certify his Karate style to Motobu Ha Shito Ryu Karate through his Sensei Lenny Jordan. Sensei DelValle became a member of International Seishinkai Karate Union and was appointed to Shibu-Cho for Florida ISKU. 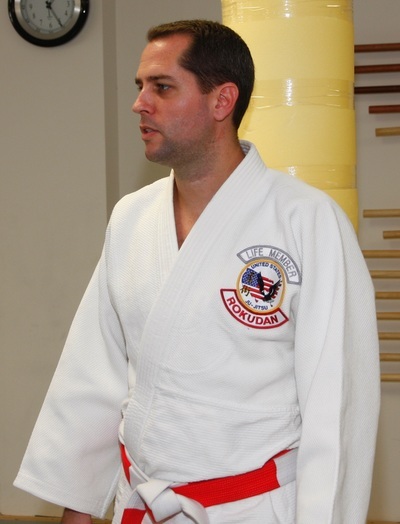 Sensei DelValle also became a Bronze Life Member for the USJA and a certified Instructor. Sensei DelValle was also certified as a USJJF Referee. Sensei DelValle was severely injured in the line of duty. In 2007, Sensei DelValle was promoted to Yondan in Shito Ryu Karate under the International Seishinkai Karate Union. 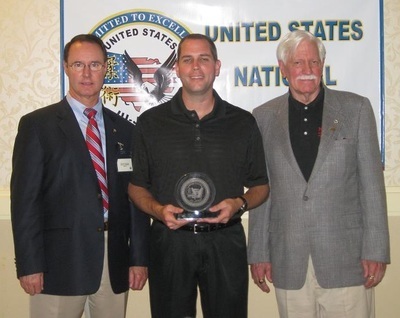 Sensei DelValle was certified as a Technical Official and Supervisor for the USJA and was appointed to the USJA Technical Official committee. Sensei DelValle was also certified as a Judo Referee and was also certified in several Judo Kata. In 2008, Sensei DelValle had to retire from his Law Enforcement career do to an injury received in the line of duty. Sensei DelValle was promoted to Yondan for USJA Judo. Sensei DelValle continues to teach Judo and Ju-Jitsu in Northport, Fl. 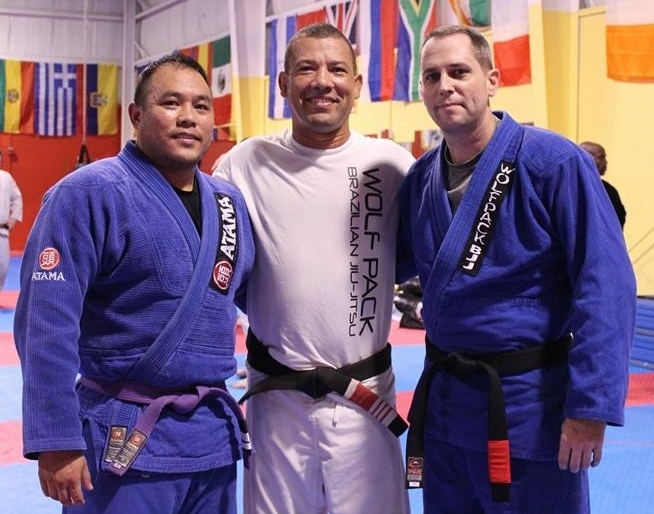 Sensei DelValle was promoted to Purple belt in Brazilian Jiu-Jitsu by Charles Dos Anjos. Sensei DelValle was also certified by the Dai Nippon Butoku kai. All of Sensei DelValle's promotions and certifications from 2006 until present have been through time in service, teaching ability, service to the Martial Arts and his students and given in recognition for his service. Sensei DelValle is physically disabled/retired and cannot compete, spar, randori, roll or wrestle, yet he continues to serve the Martial Art community and his students with his instructional ability, coaching, refereeing, technical training, and management. In 2014, Sensei DelValle was promoted by Professor Charles Dos Anjos to the rank of Black Belt in Brazilian Jiu-Jitsu. 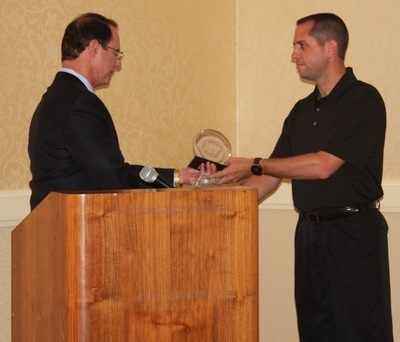 Sensei DelValle was also named Jujitsu America’s Instructor of the year.